Harley-Davidson® is a legend. It has grown from cult appeal to mass appeal. Harley® is more than a motorcycle - it's a state of mind. Harley® motorcycles are a symbol; they're worn like a badge. Like their riders, no two are the same. 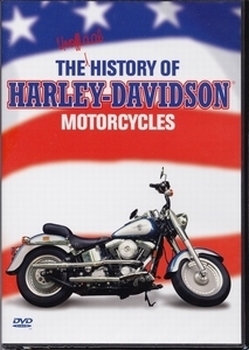 The story of the Harley-Davidson® not only takes into account the most interesting and exciting motorcycles ever made, but it's also a story about the people who choose to ride them. Motorcycles and Harleys® have come a long way - from bikers to middle class families to Gray Panthers, all taking the weekend off to tour the country on their Harley®. Harley-Davidson® will always stand for freedom, independence and the open road. Its place in history is assured. It remains and will forever be, a legend. The program features rare, restored and classic Harley® motorcycles from 1903 to the present. Also included is a visit to the Gott Museum and comments from Harley® owners, plus an interview with Willie G.Davidson, a descendant from the founders, who still designs Harley-Davidson® motorcycles.